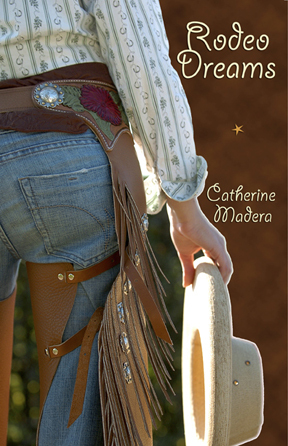 My guest today is first-time novelist, Catherine Madera, author of Rodeo Dreams. This story is about fifteen-year-old Cindy Crowe, who adopts a mustang and pursues a dream of barrel racing fame. 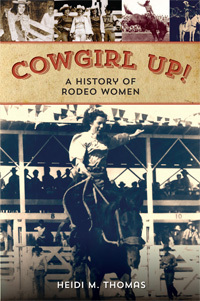 If only she can keep from being distracted by disappointment, rhinestoned rodeo queens, and a certain cute bull rider. Ultimately, Cindy discovers that any dream worth having has the power to break your heart…and change your life forever. Catherine, this is a wonderful story for adults as well as young adult readers. Tell us what inspired you to write this book. In 2004 I read the young adult book, The Sisterhood of the Traveling Pants. Even at 32 years old I found the book delightful—fun and heartfelt. It reminded me of being a teenager and the importance of friendship. Though I’d never thought of myself as a fiction writer, I thought that if I ever did write fiction I’d want it to be something like the Pants books. 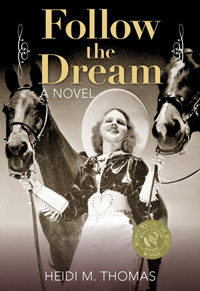 I loved the classic horse stories as a child and worked to create an intriguing story that combines elements I never grow tired of: the drama of pursuing a dream and friendship (between humans and also human/horse friendships). My protagonist is a teen but I wanted to write a story I would enjoy reading. Yes they do, Heidi! I love cowboy/girl culture and rodeo. And fighting for a dream is a universal theme that is endlessly fascinating to me. As to title, nothing else came to mind at the time. Shortly after I began writing, however, I had what I now call a “T-shirt from God” moment. I’d been feeling discouraged with my first attempts to write the story and that old negative voice we all fight with was berating me for wasting time on the thing. I remember a conversation I had with God that said, in essence, “What’s the use?” That very day I went into town and stopped at the feed store to buy a couple items for my small farm. I took a few extra minutes to look through some clothing that was on sale. My mouth dropped open when I pulled out a shirt that had a vintage rodeo cowgirl on the front wearing red boots. In rhinestones underneath it said, “Rodeo Dreams.” I bought the shirt. It may sound weird but at that moment I felt God’s encouragement to keep going. Wow. That is so cool! I love anecdotes like this. I was always an avid reader and enjoyed writing poetry, etc. in elementary school. I knew I wanted to be a serious writer when I worked on the school paper my senior year in high school. For many years after, I dreamed about becoming a journalist—flying to the scene of exciting stories and meeting interesting people. What was your first published piece and when? You’ve written many essays and non-fiction magazine articles. How did you get started in this writing arena? In 2004 I won a national contest for Guideposts Magazine (one of fifteen women nationwide out of 3,000 entrants) and had a remarkable, intensive, all expense paid five-day trip to Rye, NY to learn to write inspirational non-fiction stories. That experience changed my life and birthed my freelance career. Most of what I know about story telling I learned from Guideposts. I still write for the magazine and other non-fiction publications. Are you an outliner or a seat-of-the-pants writer? I’m a seat-of-the-pants writer (though I sometimes wish to be an outliner!). I work from a general idea of major events in a story but no firm idea of how I’ll get from one scene to the next. My characters constantly surprise me! Have there been other authors or books that have influenced you? An important early influence was my first editor at Guideposts, Jim McDermott. He taught me so much about the elements of story. The books that have helped me the most include: Writing for the Soul, by Jerry Jenkins; Bird by Bird, by Anne Lamott; and On Writing, by Stephen King. Very recently I also read Donald Millers outstanding new book, A Million Miles in a Thousand Years. It has great wisdom for writers about how to create a great story as well as inspiration for life. I also consider the northwest writer Sibella Giorello (The Stones Cry Out/The Rivers Run Dry/The Clouds Roll Away) an important mentor and friend in my writing life. The encouragement of those a bit farther along the road is critical. You are a cowgirl in your own right. Did you grow up riding and barrel racing or is this a recent development? I grew up with horses and have done lots of different types of riding. However, I’ve never barrel raced! In a curious twist of life imitating art, my eleven-year-old daughter has become serious about the sport of barrel racing. She takes lessons on her Quarter Horse, Cowboy, and we do local shows and 4H. She would like to do junior rodeo in the future. 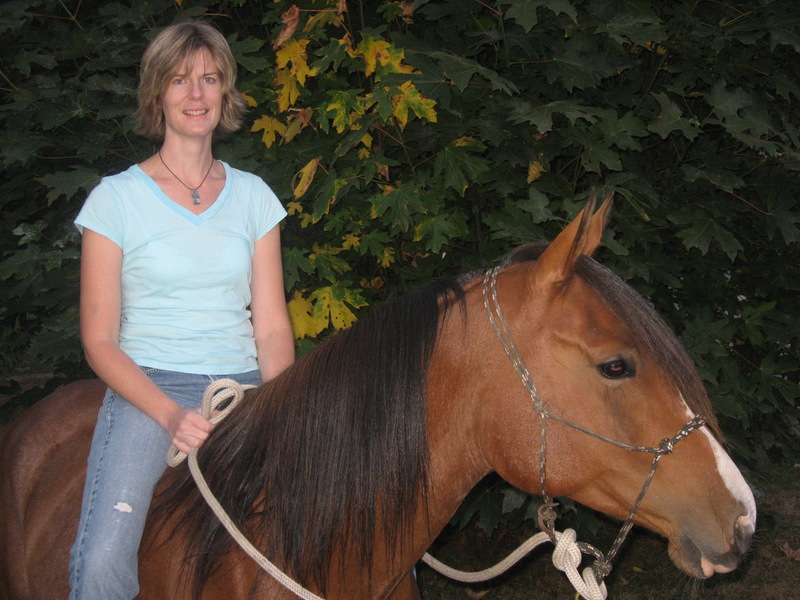 I own an Arabian stallion named Eli and enjoy dressage and trail riding. How do you think your childhood background has influenced your writing? I moved around as a child…a lot. Seeing many different places/people perhaps inspired my curiosity and fascination with people’s stories. I also grew up in a home where books and reading were very important. My father, especially, encouraged a love of good writing. You decided to self-publish your book. Tell us what influenced this decision and what your experiences have been in doing this project. I spent about four years editing the story, submitting it to contests and my critique group, and pitching to agents and such at writer’s conferences. I received enough positive feedback to feel like I had something worthwhile. Unfortunately, it was bad timing in the publishing industry. I knew that, regardless of my solid experience writing non-fiction, I’d have a tough time getting an agent. I’d always thought self publishing fiction, in particular, was a bad idea. “Kiss of death” were the exact words, as I recall. However, God seemed to have other plans for me. He very definitely gave me direction to self publish and put the people in my path to help. Most notable, perhaps, was my graphic artist, Karen Bacon. From the beginning, Karen “got” my vision and I love what we created together. I also opted to use a printer, not a vanity press. This kept my printing cost down and also got the book into the major distribution channels immediately and with almost no effort on my part. Self publishing can be a confusing maze of choices and options with numerous pitfalls and ways to waste your money and compromise your copyright. I feel blessed that my experience has been extremely positive and low/no risk. What are you doing to market Rodeo Dreams? Good question! I have been pretty low key but am selling the book slowly and steadily through word-of-mouth, Amazon/Barnes, and also in a couple niche stores in the area. I am getting the book in front of my target audience through groups like 4H and horse expos/events. I am also interested in presenting the book at elementary schools and am looking into ways to do this. As every serious writer knows, marketing these days is almost exclusively up to the author whether you go through a traditional publishing house or produce the work as I have. It can be tough but also a good opportunity to learn and grow. Are you working on another fiction project? Yes. I am working on a sequel called Rhinestones. In addition, I’m about a third of the way into a work of women’s fiction. Here’s a fun question for you: If you were stranded on a deserted island, what three things would you have to have? Assuming I can’t have my husband, Mark (thinking deserted), I’d need good coffee, my Bible, and my Smart Wool socks/long underware for potentially cold days. I hate being cold! Catherine, thank you so much for sharing your publishing story with us. 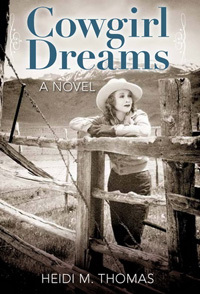 Rodeo Dreams is available on Catherine’s website, The Writer’s Way, on Amazon and Barnes and Noble. Great post, Heidi. 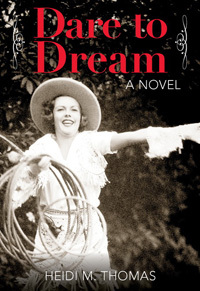 Caroline sounds delightful and Rodeo Dreams a dream-read for teens and adults alike. I’m looking forward to personally meeting Caroline next month. Pantsters unite! Always glad to find another one. I’m just not organized enough to do outlines, but wish I could. A very interesting article, Heidi. 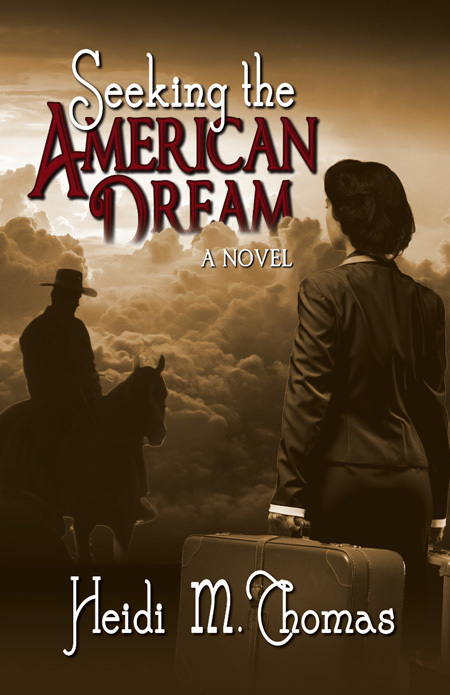 Rodeo Dreams sounds like a good read. I totally enjoyed the interview. Thanks. Heidi: Enjoyed the interview very much…about the new book and the publishing journey. Hope Rodeo Dreams does well. Lovely to meet you, and very encouraging to read about your success and joy in self-publishing. Thanks Sheila (and all of you encouraging readers/fellow writers). I appreciate the opportunity to share my journey–thanks Heidi! Don’t forget to visit my website and read sample chapters of the book:). God bless. Greetings from another “seat-of-the-pants writer”! Rodeo Dreams sounds like a terrific book. I once rode a horse that was trained for barrel racing. Unfortunately, I wasn’t – and I had no idea what that meant. I was riding around the barrels just for grins; the usual trails were closed, for some reason. I still laugh to think of the look on the owner’s face as he RAN full tilt to stop me before I got myself killed. But it was fun while it lasted! Now I have this weird image, though, of you sitting on a deserted island, sipping coffee (really GOOD coffee), reading your Bible, and wearing nothing but warm socks. I think you should’ve wished for a good sleeping bag or Snuggie, if you wanted to stay WARM! You’re funny Holly–sorry about TMI mental image (lol). But seriously, if you haven’t tried Smart Wool you must. Its the best. I have more then just socks so that might lower the R rating island imagery to just PG. Anyway, aren’t writers expected to be eccentric? :) Thanks for sharing your barrel racing experience. I actually had something similar as a youth and while I enjoy the excitement when watching my daughter and her friends, I have yet to actually RUN the barrel pattern myself. One for the Bucket List. No problem! But if I were on an island that was warm enough I could wear nothing but Smart Wool socks while I sipped coffee, I’d strip off the socks, go skinny dipping, and use the socks as a fishing net. I’d eat poorly, but have fun trying! Besides, if you wear nothing but socks, you get weird tan lines. You see why even one tiny little detail can be instant TMI for another writer?